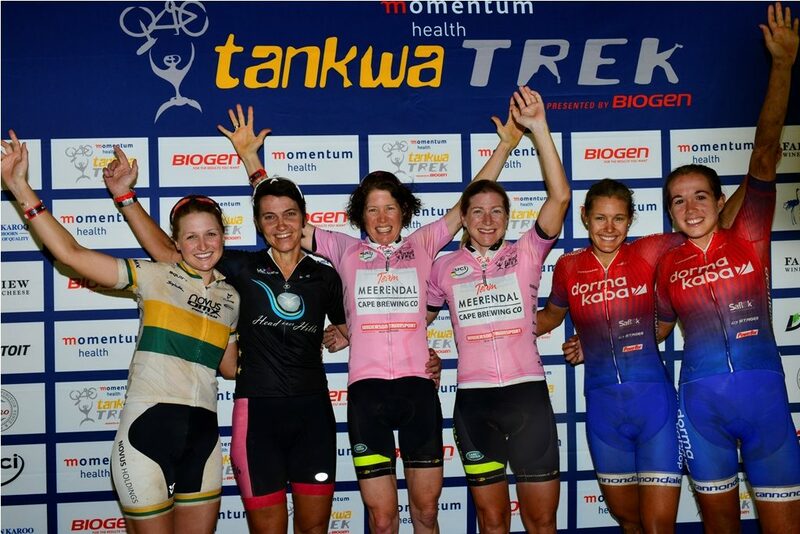 Of the women on the 2017 Momentum Health Tankwa Trek, presented by Biogen, podium 5 have returned for the 2018 race and are joined by a number of other leading contenders. Photo by Zoon Cronje. The 2018 Momentum Health Tankwa Trek, presented by Biogen – which takes place from Friday the 9th of February to Sunday the 11th – will pit some of the world’s best mountain bikers against one another on the mountain biking battlefields of the Koue Bokkeveld. Local and international elite riders, lured by significant prize money and UCI points, will race alongside a field of avid amateurs in South Africa’s premier three day stage race. For this year the event also boasts a new amateur men’s category, for the best placed non-UCI licence holders and the final stage of the race will be broadcast live by Bigshot Media, with the assistance of BreedeNet, on www.tankwatrek.co.za. At the sharp end of the field it is the stacked line-up of star names which makes the 2018 Momentum Health Tankwa Trek, presented by Biogen, the most eagerly anticipated edition of the event’s six year history. The men’s field is anchored by the formidable Bulls team of Karl Platt (Germany) and Urs Huber (Switzerland). The pair are the double defending champions, having won both the 2016 and 2017 editions. Although they have the support of the Bulls 2 combination of Tim Böhme (Germany) and Simon Stiebjahn (Germany) they will surely find their titles difficult to defend as Cannondale Factory Racing, Canyon Topeak Factory Racing, whose line-up includes triple marathon world champion Alban Lakata (Austria), and NAD Pro MTB are sending two teams to the Tankwa Trek; while Centurion Vaude by Goldwurst Power, PYGA Euro Steel and Imbuko Momsen are also rearing to go. The Momentum Health Tankwa Trek, presented by Biogen, once again boasts a field filled with local and international mountain biking stars. Photo by Zoon Cronje. The women’s race sees three teams boast previous winners in their line-ups; with the defending champions, Meerendal Cape Brewing Co the pre-race favourites. 2017’s all-conquering duo, Jennie Stenerhag (Sweden) and Esther Süss (Switzerland), will like Platt and Huber have it all to prove again in 2018 with Ascendis Health, Team Spur, two dormakaba squads, Silverback Volvo OMX and Team joBurg2c are keen on securing the pink jerseys. 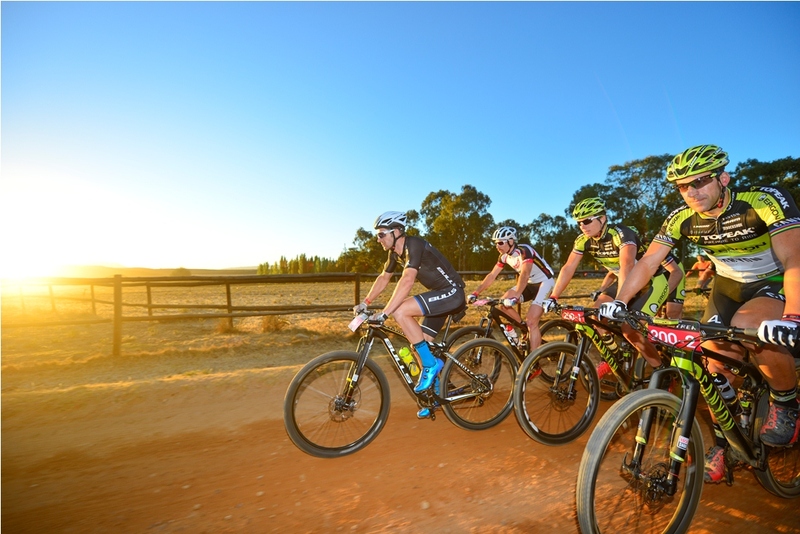 The three stages, all of which come in at a shade under 90 kilometres, have traditionally suited the stage race specialists – though it must be said a cross country team of Cannondale Factory Racing’s pedigree has never lined up at the Tankwa Trek before. The combination of Manuel Fumic (Germany) and Henrique Avancini (Brazil) lead the 2017 Absa Cape Epic, valiantly holding off the charging Scott SRAM and Investec-songo-Specialized, until Stage 5 proving they have the stamina and stage racing tactical awareness to claim the Tankwa Trek title. Fumic and Avancini will be supported by Maxime Marotte (France) and Marcel Guerrini (Switzerland), and the availability of a back-up team to perform pace making duties or provide a wheel in the case of a puncture could well provide the race winning edge. Like the Bulls, Canyon Topeak Factory Racing returns to the Tankwa Trek with two teams. Their title contenders are Lakata and Kristián Hynek (Czech Republic), supported by 2015 champion Erik Kleinhans (South Africa) and his American partner Jeremiah Bishop. In 2017 the dusty conditions and a series of punctures derailed Lakata’s hopes of race victory; twelve dry months on the trails of the Tankwa Trek are unlikely to be any less dusty. How the reigning world marathon champion, Lakata copes with the dust is likely to determine the Canyon Topeak team’s chances of success. 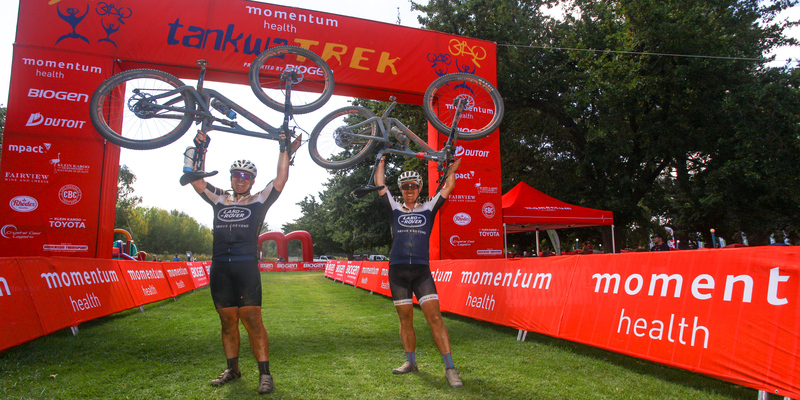 Double defending champions, Karl Platt and Urs Huber of Team Bulls, return in search of a third Momentum Health Tankwa Trek, presented by Biogen, title. Photo by Zoon Cronje. Arguably the strongest rider on the first two stages of the 2017 Tankwa Trek was Centurion Vaude by Goldwurst Power’s Nicola Rohrbach (Switzerland). Last year he withdrew from the race when his partner, Lukas Flückiger, was unable to continue due to a stomach bug. For 2018 he is teaming up with Daniel Geismayr (Austria), with whom he secured third position in the 2017 Absa Cape Epic, and though without the support of the other European teams the pair is certainly among the riders to watch. 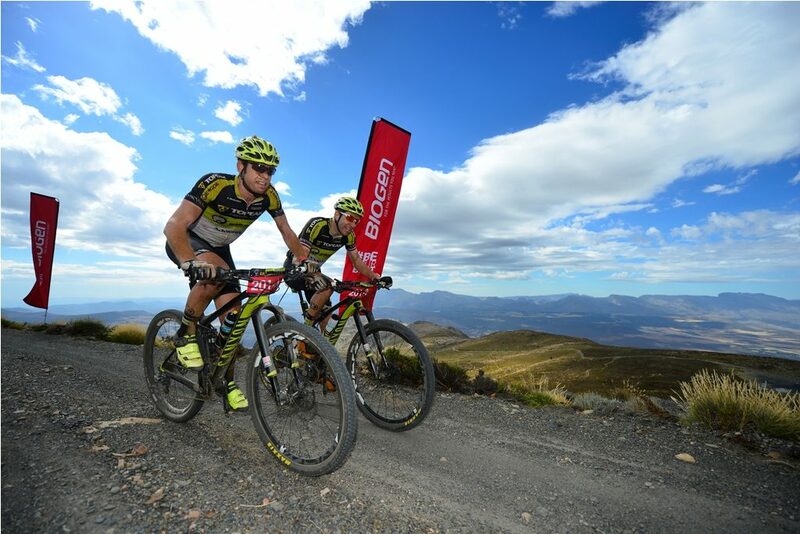 The South African assault on the men’s Momentum Health Tankwa Trek, presented by Biogen, title will be led by Philip Buys and Matthys Beukes of PYGA Euro Steel and the NAD Pro MTB 1 team of Nico Bell and Gawie Combrinck. Buys, and in particular Beukes have already proved their form against European opposition this season, at the Momentum Health Attakwas Extreme, presented by Biogen. NAD, meanwhile, will be assisted in their title challenge by Matt Beers and Wessel Botha. The Imbuko Momsen young gun team of Dylan Rebello and Marco Joubert were looking well placed to compete for a podium position against their more fancied rivals, but a crash in training for Joubert has undone their early season momentum somewhat – but with a number of similarly gifted local riders without regular partners Rebello might just provide the surprise of the race yet by teaming up with a mystery rider. There is no mystery in the women’s elite field, just a selection of very strong and possibly evenly matched teams. The defending champions, Stenerhag and Süss will only have one of the teams they defeated in 2017 lining up against them this year. The Silverback Volvo OMX pairing of Mariske Strauss (South Africa) and Yolande de Villiers (South Africa) were second last time out but with Ariane Lüthi (Switzerland) and Candice Lill (South Africa) returning with new partners, in addition to Carmen Buchacher (South Africa) and Robyn de Groot (South Africa) switching from the mixed category to the UCI women’s category the competition will be fiercer than ever. 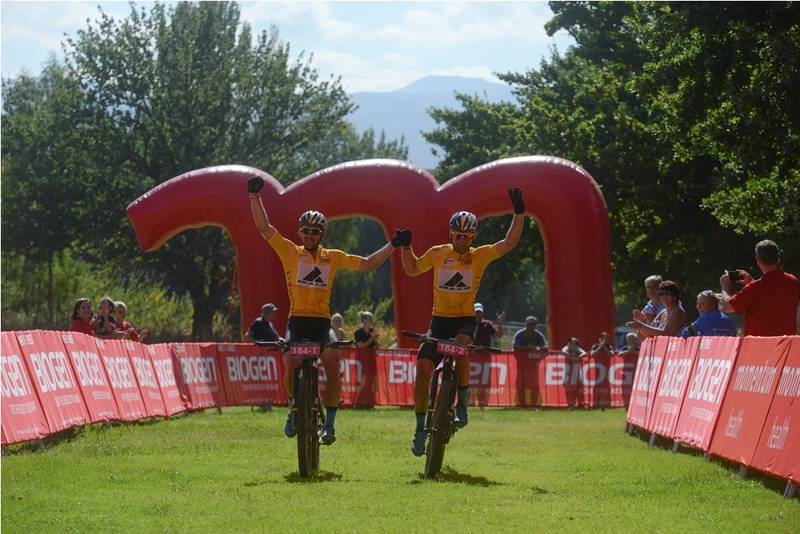 De Groot and Stenerhag won the Momentum Health Tankwa Trek, presented by Biogen, twice as teammates – in 2015 and 2016, while Lüthi is also a previous winner, having won the 2014 edition alongside Cherise Willet. This year De Groot pairs up with Sabine Spitz in the Ascendis Health colours, in a repeat of the 2017 Absa Cape Epic rivalry with Stenerhag and Süss. Team Spur’s Lüthi is joined by Christina Kollmann-Forstner, the reigning European and two time Austrian marathon champion. For the 2018 race Candice Lill will partner with the exciting German XCO star, Helen Grobert of Cannondale Factory Racing. Photo by Zoon Cronje. 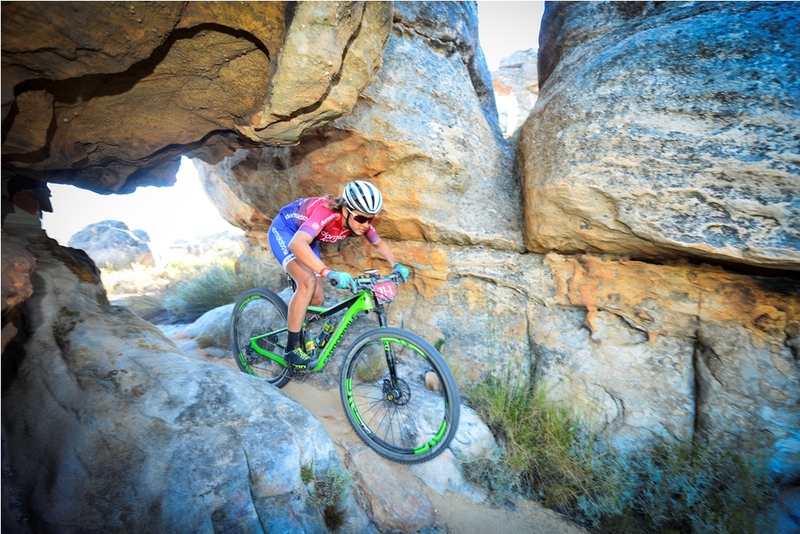 dormakaba are superbly represented by two squads at the Tankwa Trek, with Lill teaming up with Cannondale Factory Racing’s Helen Grobert (Germany) and Buchacher pairing up with her 2018 stage race partner, Samantha Saunders (South Africa), for the first time. Another new partnership, though by no means strangers to the Tankwa Trek are the Team joBerg2c combination of Amy McDougall and Bianca Haw. The pair have a mixed and a women’s category podium place, respectively, on their individual palmarès already but will be keen to add the elite UCI women’s title too. With little, as yet, early season form to guide predictions mountain biking fans will have to wait until the 2018 Momentum Health Tankwa Trek, presented by Biogen, to discover who truly has the conditioning to win the converted R80 000 prize money at stake for the men’s and women’s champions. The racing action gets underway at 06:30 on Friday the 9th of February. Fans will be able to follow the first two stages on Twitter @tankwatrek‏, with highlights available in the evenings on Facebook, Momentum Health Tankwa Trek presented by Biogen, and YouTube. 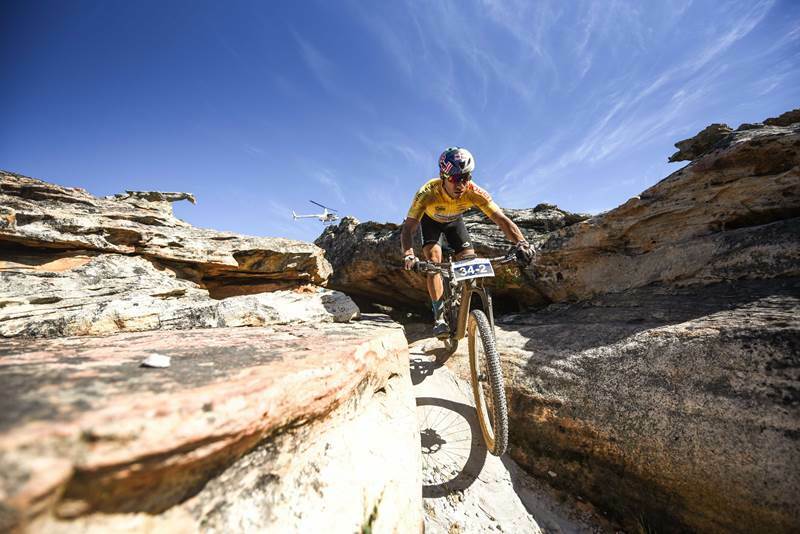 The final stage, the spectacular Stage 3, which winds its way through the rocky outcrops in the famed Houdenbek singletracks will be broadcast live on the race website: www.tankwatrek.co.za. The presence of support teams for Canyon Topeak, Cannondale, Bulls, NAD Pro MTB and dormakaba, in the women’s race, could add to the tactical battle playing out at the sharp end of the field. Photo by Zoon Cronje.